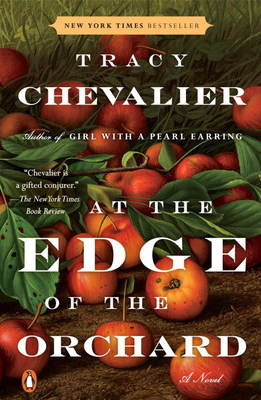 At the Edge of the Orchard combines apples (the season is upon us), historical insight on the Westward Expansion, and an award winning fiction author, writer of Girl With Pearl Earring. Tracy Chevalier depicts the challenge of pioneer life and the courage it often took to live it. Her story can be dark and honest at times, revealing the flaws of the main family while they struggle to survive. A nice plus: she also paints us nature pictures of trees and their surroundings in both the "Black Swamp" area of Ohio and California's Sequoia Forest during the 1800s.